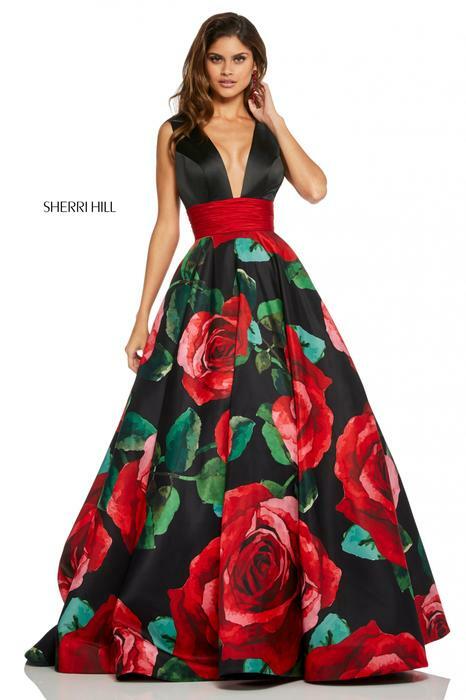 Sherri Hill 2019 exclusive collections are the leading elite in the industry. Featuring couture designs, and intricate beadwork. Sherri Hill dresses are all the rage for any season. Prom Dresses, Homecoming Dresses, Pageant Dresses, the list goes on and on. Many celebrities have been spotted wearing her designs. Selena Gomez, Kendall Jenner, and Ariana Grande just to name a few. Sherri Hill dresses are wanted by every teenager and young at heart.You can Find A Big Selection Of Dresses at viper apparel "sherri hill boutique in Michigan" Every dress is accented with glass bead work and high quality sequins. Viper Apparel is an authorized dealer for Sherri Hill in Michigan". If you have any questions regarding Sherri Hill 2019 styles, please contact our customer service via phone, email, or live chat. Please make sure to check your measurements with each and every dress before ordering. Each designer and dress has a different size chart that correlates specifically. Viper Apparel and Bridal by Viper Apparel is the #1 Prom store in Michigan and the #1 Bridal store in Michigan. Two locations to best serve you.